I’ve been doing a lot of ‘View From Where I’m Sitting’ pictures and posting them on my Instagram. I think I’ll start posting them here as well. I’m sitting on the couch in my sister’s living room, watching it rain. Though I had to open the door to get a clearer picture. 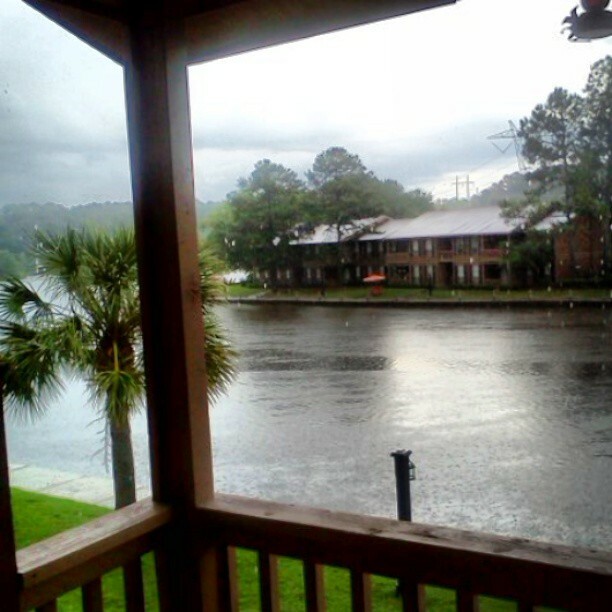 This entry was posted in Blog, View From Where I'm Sitting and tagged family, Georgia, Georgia weather, lake, phone pictures, photography, rain, siblings, tropical depression, vacation, View from where I'm sitting on June 5, 2013 by JenniferNAdams.